2013 will go down as a very, very big year for television. If ratings don’t already prove it; this was the year we said goodbye to several award-winning shows and embraced newer ones with millions of devoted tweets and phenomenal, Beatles-esque hype. Unless you have been living under a rock, in the middle of the ocean of a different planet, in a different solar system, then you’ve probably been bombarded by ‘Breaking Bad’-related commentary on your newsfeed. In its five short-lived but record-breaking seasons, the gritty drug-related drama gained a cult following and went down in history as perhaps the only show to never spawn ‘haters’. However, some series over the past few years have not had such a successful run. The finale to Showtime’s ‘Dexter’, first aired in 2006, was laughably eclipsed by the final chapter to the Breaking Bad saga in late September. Perhaps supremely bad timing was to blame, but the slew of regular viewers, baffled that Dexter was still airing, proved otherwise. So what makes a TV series immortal long after its end? People still tune in to F.R.I.E.N.D.S and darker material such as The Sopranos and The Wire even though all have long left our screens. Buffy The Vampire Slayer creator Joss Whedon was quoted in 2001 as saying ‘Know what your viewers want, then never give it to them.’ The success of his own creations prompted many to think the same way. However, the double-edged sword of ‘shocking vs predictable’ in terms of series finales has proved the final product is what makes or breaks its legacy. After the past explosive month in the television spectrum, the ‘Breaking Bad’ obsession will still pulsate long after its cancellation, whereas ‘Dexter’, an equally critically-acclaimed and award-winning show in its earlier years, will dissipate into the dusty video libraries of forgotten television, which also contains other terribly-ended shows such as the aptly-named Lost, Roseanne (shudder) and the tragic Desperate Housewives. Many fans were unhappy at both the timing and the plotline of ‘Dexter’s final act, which focused on the progression of its central character from monster to human; a direct paradox of the journey taken by Breaking Bad’s central character Walter White (played by Bryan Cranston of Malcolm in the Middle fame). Fans were ultimately disappointed when Dexter took one last stab at his infamous killing table, which lacked the manhunt elements of Breaking Bad that were so expected of the former. 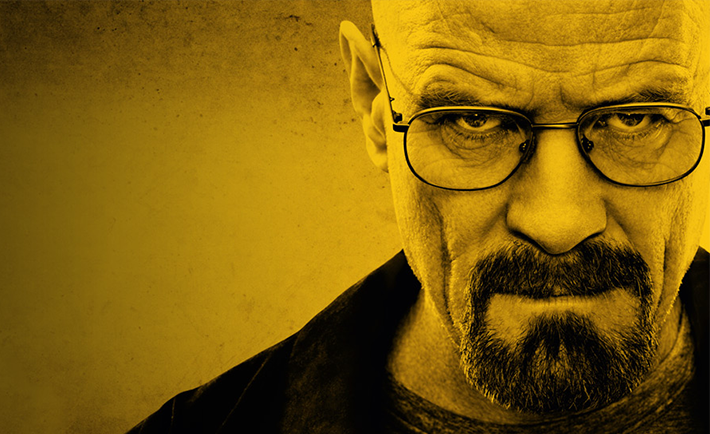 Mega critic television reviewers had remarked in Dexter’s recent seasons that the show had lost its quality, whereas each season of Walter White’s drug empire was subject to better and better universal acclaim. Breaking Bad creator Vince Gilligan always wanted to end the show at an auspicious time, when media interest was at its peak. Is it a delicate balance between good timing and fan reaction that prompt the death of show? This recent example seems to prove it, as Dexter’s final outing subjected fans to a fate worse than the moonlighting serial killer’s table, and its BB counterpart, a conclusion as addictive as Walter White’s infamous blue meth.